Did you know? The daily operating cost for St. Jude is over $2 million, which is primarily covered by public contributions. St. Jude Children’s Research Hospital is internationally recognized for its pioneering research and treatment of children with cancer and other life-threatening diseases. The hospital’s research has helped push overall survival rates for childhood cancer from less than 20 percent when the institution opened to almost 80 percent today. Helping St. Jude is easy. Text to donate on the Coors Light text line. The St Jude text line brought to you by Coors Light the World’s Most Refreshing Beer! 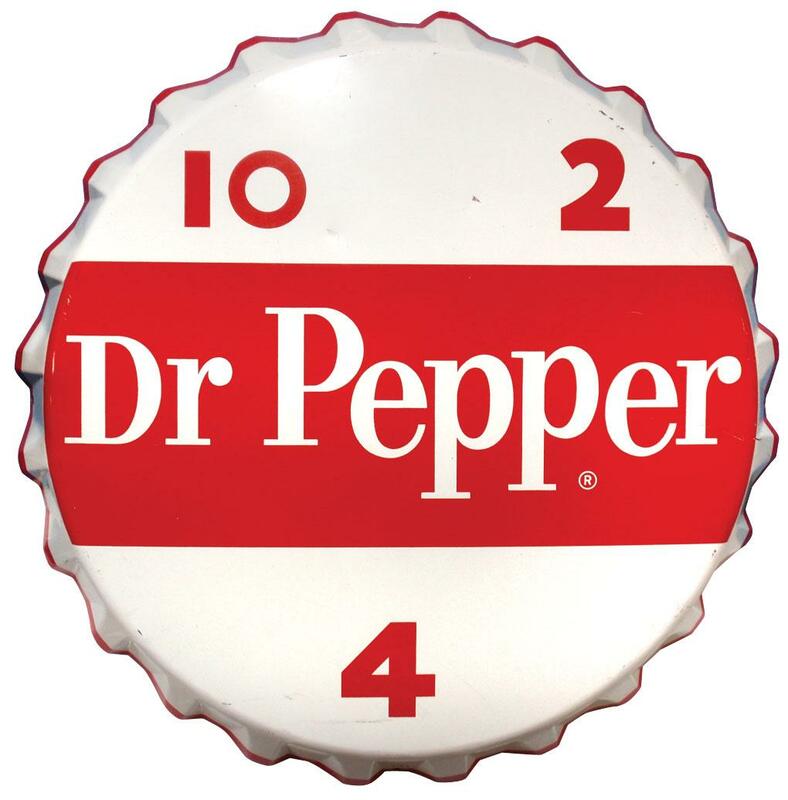 Dr. Pepper Phone Bank Phone Bank, toll free at 1-800-592-3530 to make a donation. Make sure to LIKE our Facebook page, as we’ll be posting updates of the State Farm – Jim Garrison Tote Board, keeping you informed of our total amount raised! Thank you to sponsors like Dr Pepper / Snapple, Jim Garrison – State Farm Insurance, Wendy’s, Sapp Brothers, Topeka Pizza, Luther Place, La Colonia, CPM, Biomat USA, Carpet Plus, Diamonds by Design and so many more individuals and businesses who stepped up and donated. We look forward to working with you on the 2020 St. Jude Radiothon! Country Cares for St. Jude Kids is one of the most successful radio fundraising events in America. 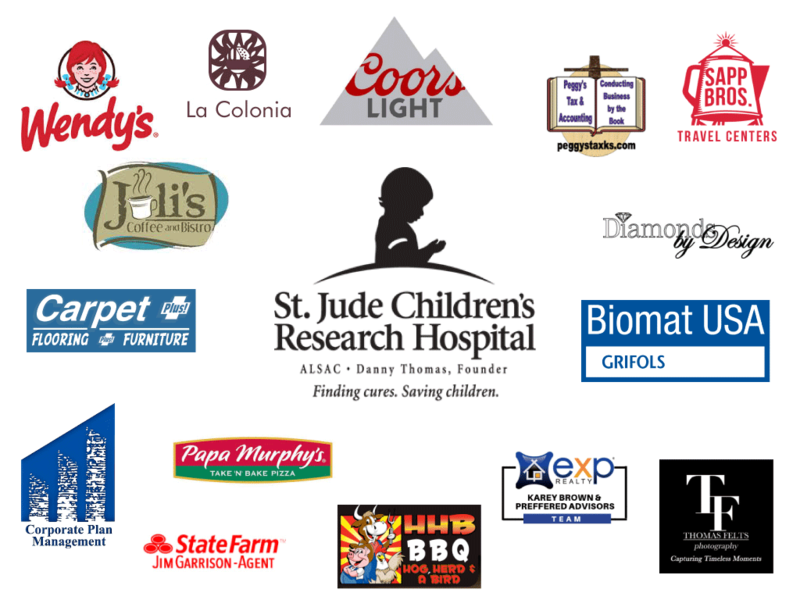 Since the program began in 1989, more than 200 radio stations across the country have raised more than $400 million in pledges for the children of St. Jude Children’s Research Hospital®. Many country artists have given their names and time to Country Cares through recorded appeals, visits to the children at the hospital and much more. These stars include Randy Owen, Taylor Swift, Brad Paisley, Tim McGraw, Faith Hill, Chris Young, Darius Rucker, Keith Urban, Jake Owen and Lady Antebellum. All segments of the country music industry—artists, record label representatives, artist managers, publishers, songwriters and radio station staff—participate in the Country Cares program. Randy Owen, lead singer of the group ALABAMA, helped launch the Country Cares for St. Jude Kids program after meeting with hospital founder Danny Thomas. A typical radiothon lasts two days and is highlighted by St. Jude patient stories and country celebrity vignettes, local patient appearances and exciting radio station promotions. Radiothons are typically held at the radio stations or other populated venues. All major and many independent country music record labels support the Country Cares program. Country music reaches a broad and ever-increasing portion of the American audience. Reports show that nearly 44 million adults listen to Country Radio on a weekly basis. Country Radio reaches more adults than any other format—making it America’s top radio format. Country is the leading radio format in the number of stations as well, with more than 2,000 stations airing country music full-time. Visit the Country Cares for St. Jude Kid’s Facebook page HERE. What is a Partner In Hope®? For $20 a month, you can make a difference in the life of a child. Join thousands of people who support St. Jude with your monthly pledge of $20 or more and give hope to children stricken with cancer and other deadly diseases. 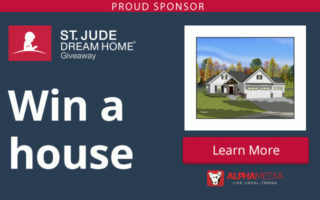 As a Partner In Hope®, you will be among the most dedicated St. Jude supporters that ensure that no child is ever turned away because of a family’s inability to pay. For just $20 a month—about 63 cents a day—you will be helping St. Jude treat children battling cancer and conduct research that may one day lead to a cure. Envista Credit Unions in Topeka spotlight and support St. Jude all year long by presenting our Daily Partner in Hope on 94.5 Country! Twice a day, our announces thank a different Partner in Hope contributor, live on air! Click HERE to become a Partner in Hope, today. For folks who have not had an opportunity to visit the hospital, we can tell you – it’s an AMAZING place full of hope and healing. St. Jude Children’s Research Hospital is one of the world’s premier pediatric cancer research centers. Known around the world as the hospital without walls, St. Jude freely shares groundbreaking research and treatments with the global medical community. Everyone who takes a tour of the hospital gets an opportunity to see the “ABCs of Cancer” wall. This is a wall where the alphabet has been transformed into writings by the patents into mini stories about cancer. St. Jude created the wall so patients could have an alphabet of their own that reflects the kids’ feelings and experiences while having a catastrophic illness. These hand-written poems are moving, sad and even humorous as they give you an inside look as some of the different emotions and attitudes the patients experience during their personal journeys. Because the majority of St. Jude funding comes from individual contributors, St. Jude has the freedom to focus on what matters most – saving kids regardless of their financial situation. We are a top national referral center for children with tough-to-treat forms of cancer or who have not responded successfully to standard treatments. St. Jude has helped increase the survival rates for acute lymphoblastic leukemia (ALL) from 4% before opening in 1962 to 94% today. We develop new treatments that reduce side effects while maintaining or improving outcomes, so that survivors of childhood cancer can have the best possible long-term health. Because we have seen our patients with brain tumors improve dramatically through proton therapy, we are building the world’s first proton therapy center dedicated solely to treating children. St. Jude researchers and doctors have research and treatment programs for children with pediatric HIV and AIDS, as well as using new drugs and therapies to fight related infections. St. Jude was the first pediatric cancer research center in the U.S. with an on-site current Good Manufacturing Practice (GMP) facility, which produces innovative biopharmaceuticals and other products for use in St. Jude-led clinical trial. St. Jude is a world leader in developing new, improved treatments for children with cancer. We create more clinical trials for cancer than any other children’s hospital. We also research areas of medicine that pose a risk to children with cancer, such as infectious diseases. Through the St. Jude Children’s Research Hospital-Washington University Pediatric Cancer Genome Project, we have completed whole genome sequencing of more than 700 pediatric cancers along with 700 matched normal genomes from the same children. This bold project has produced significant discoveries for children with tough-to-treat cancers. In May 2012, St. Jude released the largest-ever compilation of comprehensive whole genome human cancer data for access by the global scientific community (4,200 billion pieces of data). A gene therapy treatment invented by St. Jude and given as a single treatment allows adults with hemophilia B to cease ongoing, expensive injections. This new treatment is expected to be adapted for children and for other diseases. St. Jude is the national coordinating center for the Pediatric Brain Tumor Consortium and the Childhood Cancer Survivor Study, both funded by the National Cancer Institute. St. Jude is the coordinating center for a national study of sickle cell disease treatment funded by the National Heart, Lung, and Blood Institute of the National Institutes of Health. St. Jude has treated children from all 50 states and around the world. On average, St. Jude has more than 67,000 patient visits each year. We shared our research results in 775 articles published in peer-reviewed journals in 2012. That equals, on average, a new discovery shared every 11 hours. St. Jude has been recognized by FORTUNE magazine as one of the “100 Best Companies to Work For,” by The Scientist as one of the top 10 “Best Places to Work in Academia,” and by U.S. News & World Report and Parents magazine as a top children’s cancer hospital. The daily operating cost for St. Jude is $2 million, which is primarily covered by individual contributions.